Wanna make a holiday promotion and stuck of creative ideas? Just design some attractive promotion posters. It can help you get more attention to advertise your business. 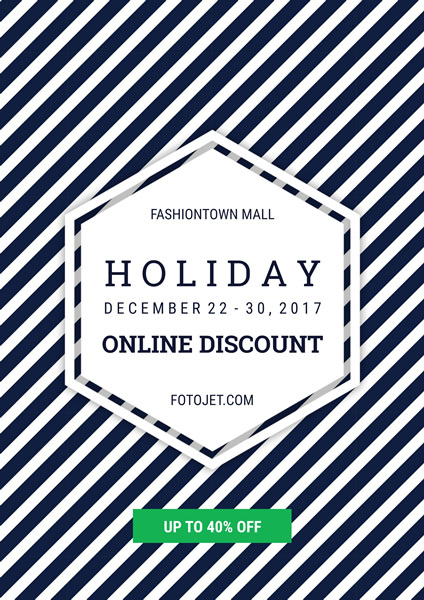 This general sale poster template from FotoJet will be a great help for you. It is very versatile so you can customize to get some posters for different occasions and events with the built-in editing tools. For example, just change the date then you can get some posters for that are suitable for any holiday.